Some of my readers have been kind enough over the past years to suggest that I come up with a cookbook. 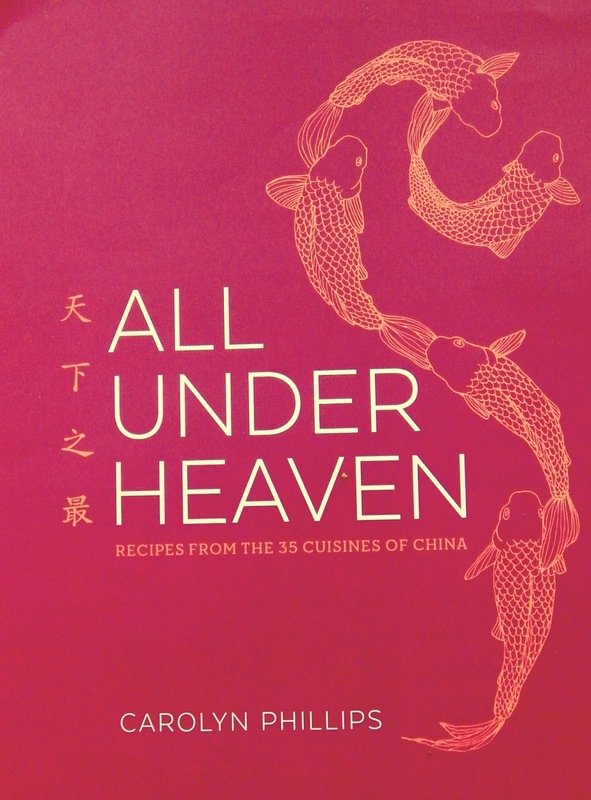 And now, with unrestrained delight, I can say that I not only was my cookbook published on August 30, 2016, but it was called ALL UNDER HEAVEN: RECIPES FROM THE 35 CUISINES OF CHINA. Those of you who love to read about food probably are already fans of Lucky Peach, but that is only one of the many things that McSweeney's had a hand in creating. Recently, for example, they expanded out into the world of cookbook publishing, and their first foray, Mission Street Food, was such a smashing success that they decided to take a chance on me. And now, Ten Speed Press has joined in, making this the first ever joint project by these two fantastic publishers. 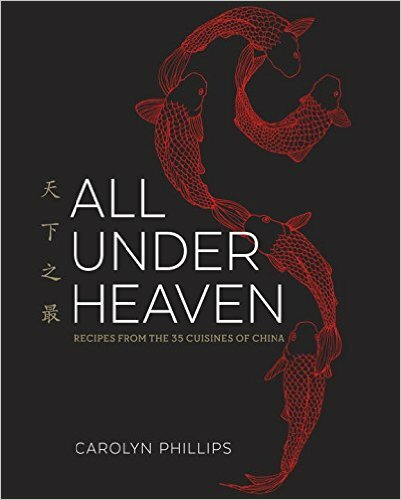 ALL UNDER HEAVEN is the first in-depth look at every one of the cooking styles and culinary aesthetics of China, much like what I'm doing here on this blog. 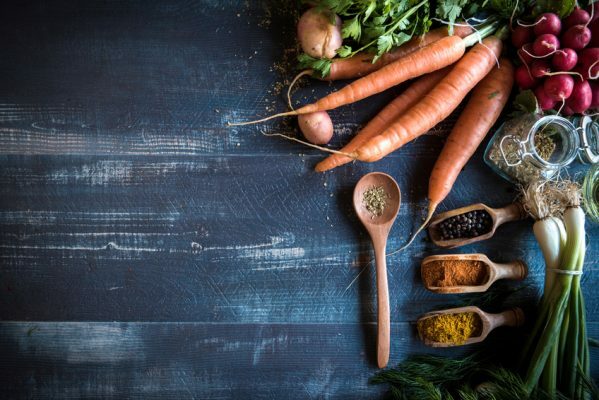 I am hoping to bring sense and order to the entire spectrum of that ancient country's incredible patchwork of cuisines through a totally innovative way of understanding them. 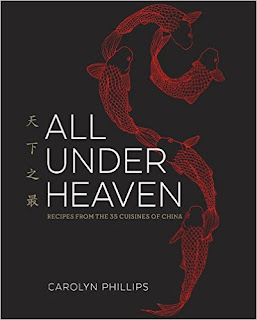 Basically, ALL UNDER HEAVEN divides China's food traditions into five major regions that share the same geography and climate, as well as similar basic ingredients, cooking styles, seasonings, and interaction among the cuisines. These were then further narrowed down into 35 unique food traditions. ... and now Ten Speed, too! By doing this, we get to understand the relationship between the foods in each region. It also provides context for their place in the vast world of cooking in China that has, until now, remained hidden. And so, ALL UNDER HEAVEN not only acts as a guide to the unknown treasures of Anhui, Henan, Shaanxi, and Shandong, but also the vibrant cuisines of the Muslim West, of Tibet and Inner Mongolia, of the ethnic tribes of the Central Highlands, of the former colonies of Hong Kong and Macau, of the islands of Taiwan and Hainan, of the ancient food culture of the Hakka, and everyone in between. This book shows beyond a shadow of a doubt that there is no such thing as a singular "Chinese food." Because of language and cultural differences, China might like an unintelligible monolith at times, but it is actually home to ethnically diverse people who live in the oldest continuous culture on planet Earth. These lands are therefore home to dishes with ancient histories, remarkable stories, and breathtaking legends, all of which lend unique takes on the ingredients and flavors of China. In addition, I will provide context for the more familiar cuisines which have made their way to our shores. This means that people whose parents arrived on these shores from small fishing villages in Guangdong, from the seafaring village of Teochow, and from the vital cities along the Yangtze will all be able to reconnect with their ancestry through food and learn how to cook like Grandma did. You will most likely see some familiar things in ALL UNDER HEAVEN that originated in this blog. However, I have added a whole lot more that is new and, I hope, both helpful and entertaining. 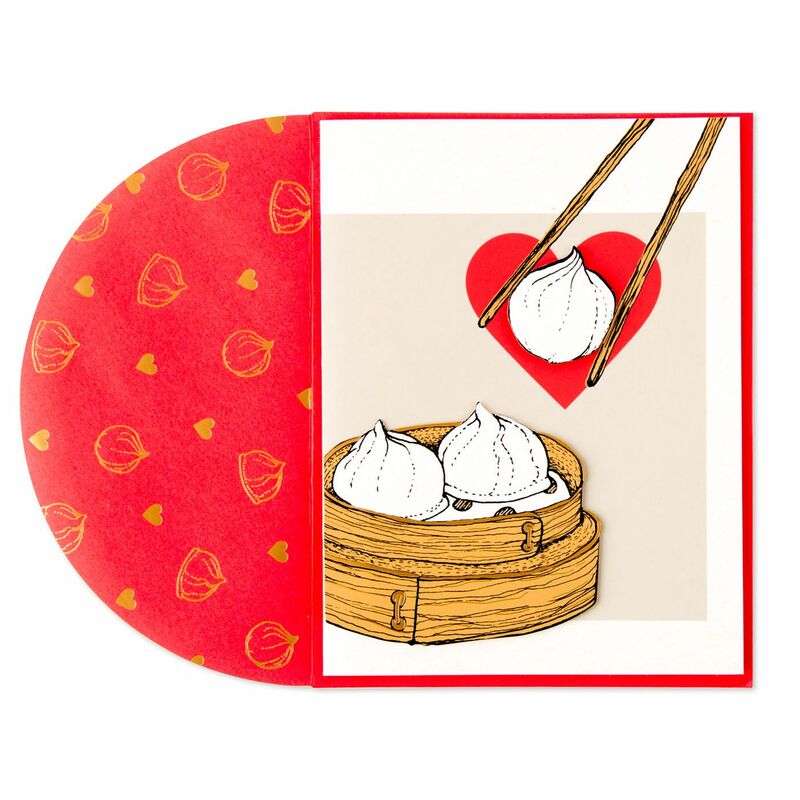 Like this blog, I will include traditional Chinese characters and their Mandarin pronunciations so that you can order these dishes in restaurants and buy the ingredients in Chinese markets. Finally, there will be a chapter on basic recipes, a glossary of unfamiliar ingredients, and an index. 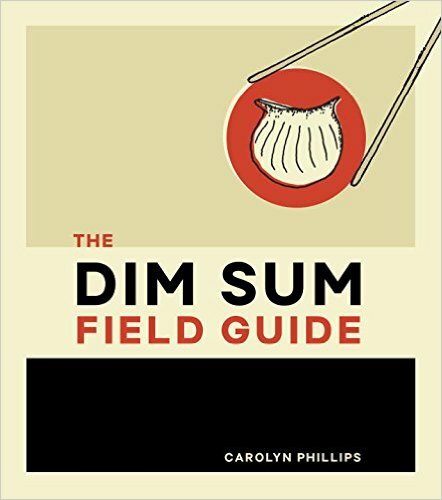 If you liked my "Dim Sum Field Guide" (see the border of these blog pages, and go to this page for the whole enchilada), you should also like this book, because ALL UNDER HEAVEN, too, will be filled with helpful information, useless knowledge, and lots of line illustrations, like the samples shown here. 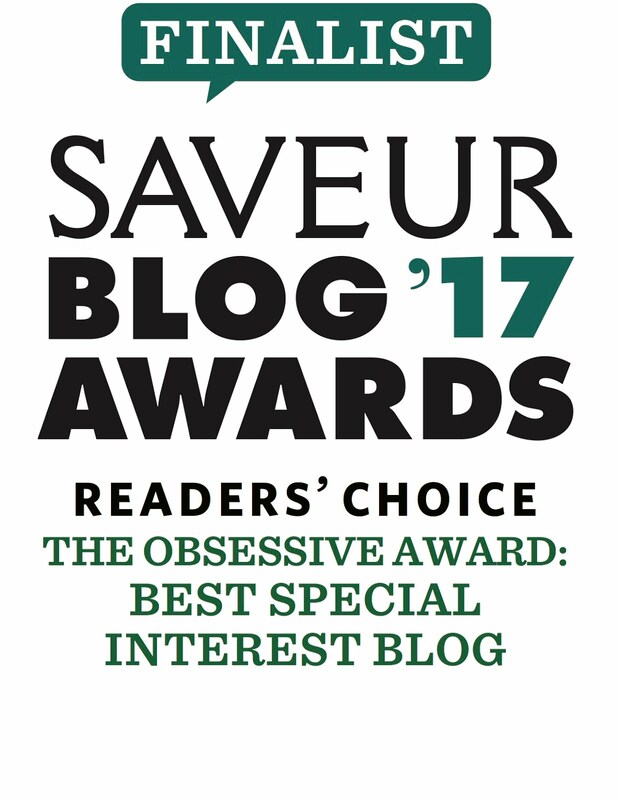 Thanks to all of you who have read this blog and supported my efforts. I am humbled by your generosity of time and attention, and more grateful than I can ever express. All technique illustrations here are from ALL UNDER HEAVEN. These are protected by the applicable copyright laws of the United States and may not be duplicated. You have made my day! The good news is that my manuscript is now in the hands of my editor, so things are on track. Already writing my next book, which I will announce as soon as it becomes a reality. Thank you so much for writing such kind words. Eat well and prosper! I absolutely love your blog and the knowledge you impart. I will definitely buy your book in hardback as soon as it comes out!!! Oh, I've been waiting for you to tell us this. So excited!!! Need any recipe testing done? Hi Marc, and thanks! Yes, McSweeney's is going to set up a website for testers. It should be ready pretty soon. I will be sure to tweet you directly (plus do a general tweet and probably a blog posting) and let you know. Everyone is welcome to join in. Carolyn, I'm looking forward to getting my hands on your cookbook. I was wondering if you might like to share two recipes that I've been looking for a long time--Shanghai-style sauteed pork kidneys with a mustard sauce, and Yunnan Muslim goat/sheep cheese. The latter is similar to mozzarella in texture. In Yunnan, it is fried in butter and served as an appetizer--heavenly! Thanks so much. Hm, I don't know if I have time to get into cheese-making right now, but I will keep an eye out for a recipe. Do you read/speak Chinese? If so, do you know what that cheese is called? I will also see if I can find that kidney recipe. Love kidneys. My favorite is the thinly-sliced appetizer in Hunan restaurants with lots of chili oil. Will this cookbook also available as an e-book? I don't know yet, but that is a great idea. I will be sure and suggest it to the folks at McSweeneys. I am really looking forward to this. Your blog is a real treasure. Thank you for your blog. A great resource for the non-reading/speaking Chinese diaspora. Looking forward to getting a copy of your upcoming book! Your kind words are truly appreciated. Thanks so much! I'm counting down the days until this comes out!!! Sorry for these late thanks, but thanks! Good luck. Looking forward to it. Great idea to mix the recipes with kanji and authentic spellings. Thanks! Never could understand why both were never offered... how can you pronounce and write the words otherwise? Hi Carolyn, love the blog. Will there be a Mandarin translation of your new book as well? Thanks. Hi Charlie. Yes, I'm hoping so. The publishers will be discussing foreign rights pretty soon. I'll keep you posted. Thanks! Nearly there, congratulations! Any word from the publisher about an ebook edition? 500+ pages will make overseas shipping probably cost more than the book itself. After an initial disconnect, I have become accustomed to using ebooks especially for nonfiction; the search function can beat even the most detailed indexing and the iPad is wipeable for kitchen use. Thank you, Polly! Yes, we have a Kindle version (http://ow.ly/10h3n0) that is already being advertised on Amazon, and we are hoping that the UK will publish this book, as well. I love your book. Thank you for getting all the recipes together. I have been trying out many recipes and my family and friends love them all! I am finding minor misprints/typos. How do I go about letting someone know?